Watching a baseball game is a kind of culture in Japan. Indeed, baseball is an incredibly popular sport, which has millions of passionate fans in Japan. 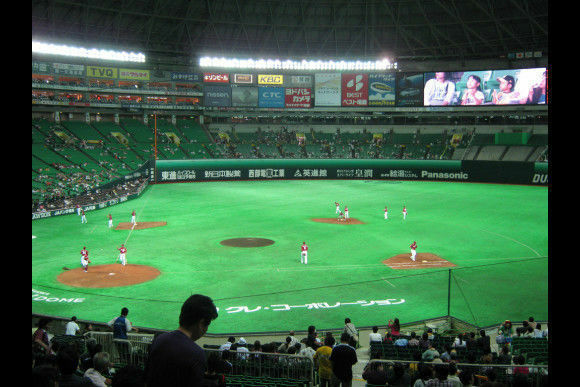 Enjoy being a part of the Japanese baseball scenes by watching the game at Fukuoka Dome. 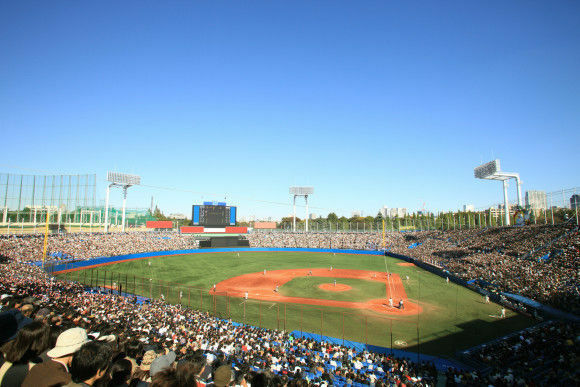 Baseball is an incredibly popular sport with millions of passionate fans in Japan. 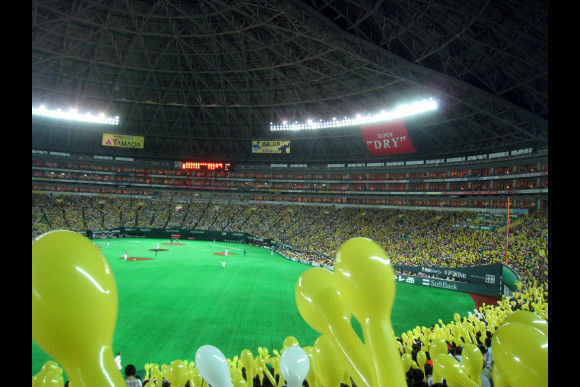 You would want to visit Fukuoka Dome – one of the biggest baseball stadiums in Japan (size: 69,130㎡ , accommodates: 38,500 people), where “Fukuoka Softbank Hawks” a popular baseball team based in Fukuoka usually play. You can feel and be part of the Japanese baseball scenes by purchasing the tickets for the baseball games at Fukuoka Dome with our service. The fans will support their favourite teams passionately with very loud and energetic cheering, which is very exciting. Foods, drinks and snacks are not included in this purchase, but you will find a variety of stands at the stadium. If you have a specific team you support, you can buy flags, merchandises and megaphones of your team as well. 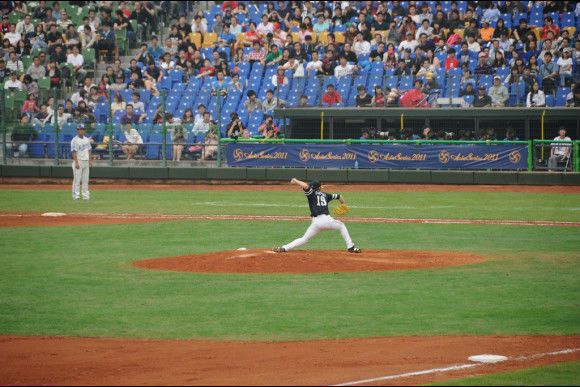 The off-season for the national league is from the October until the February, but various games between university baseball clubs are available. You also can buy the tickets for those games as well. S: These seats are located right behind the net, where you can feel the tension of the game and the atmosphere of baseball at most. A: These seats are located behind the first and the third base, where you can see the whole field better, as well as the players on the bench. B: These seats are behind the foul pole, where you can perfectly enjoy watching the outfielder’s play. D: These seats are located few blocks away from the C seats, where you can enjoy Hawks fans' chanting the most. You can see the ball being hit towards you, and you might catch a home run ball if you are lucky enough! 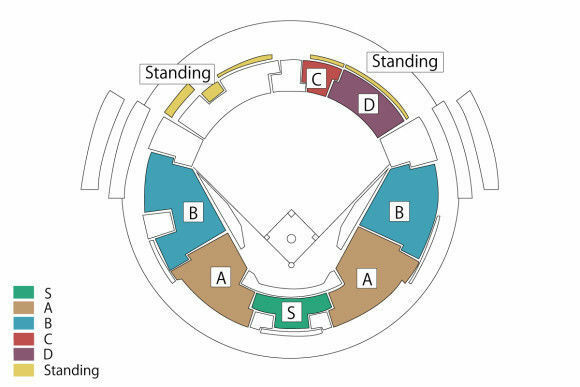 Standing: Standing area in the infield or outfield area. One of the most famous and historical baseball teams based in Tokyo. Their winning percentage is the highest out of all 12-baseball teams. Matsui Hideki (as known as “Godzilla”) and Sadaharu Oh are originally from this team. The second oldest baseball team based in western part of Japan. This team is known for the number of fans coming to the game, and the fans’ energetic cheering. Hanshin is very famous for being a rival team of Giants. A team based in the Aichi region. This team is more of local based baseball team, and they have a large number of active local fans. Being a team based in Tokyo, the team name came from the fastest national railway back then called ”swallow”. Carp is a very unique team that doesn’t have a parent company unlike other teams. The revival from the atomic bomb has energized the formation of the team. The name “carp” came from the castle named “carp castle”, which was destroyed by the bomb. A team based in Yokohama. Unlike other teams that use megaphones, BayStars cheer with instruments such as trumpets. 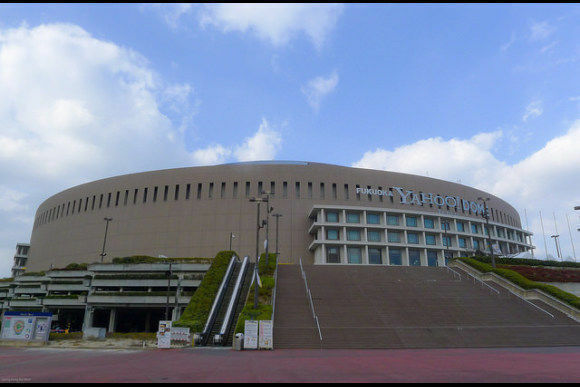 The name “BayStars” is a combination of a tour spot, “Yokohama Bay Bridge” and a “star”. A team based in Hokkaido. This team is known for the strategic breeding of their members. Tsuyoshi Shinjo and Yu Darvish are originally from Fighters. Chiba-Lotte is famous for hiring coaches outside of their team. 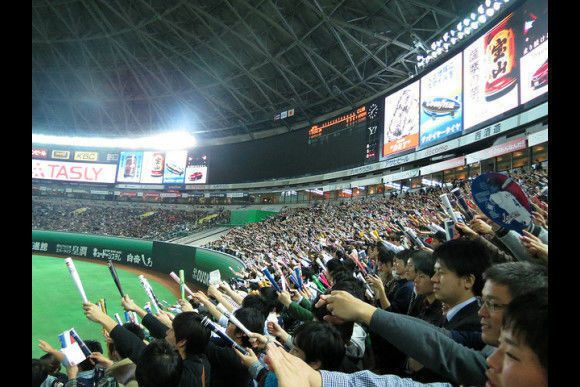 As a way to show their appreciation towards their fans, during summer, Chiba-Lotte sell game tickets as nonreserved tickets twice, which lowers the ticket price. A team based in Miyagi. Their team’s symbol came from the eagles in the deep mountain area. Because of the location and the deep fog, their games get cancelled more often than other teams. originally from this team. The name “Orix” came from their parent company. “megaphone dances” during games. This is one of the fun and cheerful dances you might want to see with your own eyes! Lions is a famous team for hiring coaches who grew up on the team. They have numerous unique episodes than any other teams. 1. Why should I book the tickets in advance? It will be very difficult to buy the tickets on the game day, so we suggest you to book the ticket in advanced. In addition, due to language barriers, it will be difficult for non-Japanese speakers to book the ticket by themselves, because most of the websites are only available in Japanese. Therefore, we suggest you to use our service so you can book the tickets without any hassles. 2. Can I request for any specific seats? Yes you can request for any specific seats when you book the tickets with our service. 3. Can I request for side-by-side seats? Yes you can, please let us know in advanced. 4. Can I cancel my tickets? No you cannot cancel your ticket after your booking. 5. I lost my ticket, what should I do? We cannot re-issue any lost tickets, and we cannot refund your lost ticket too. - We require at least 3 full business days for delivery. If placing a last minute booking within 3 days of your visit, or if you do not provide us your hotel information at least 3 full business days prior your ticket date, you'll need to collect your tickets from our Tokyo office in Shibuya. - If your hotel reservation details change, please tell us immediately through the Voyagin dashboard. - We only deliver to hotels with a concierge with whom we can confirm the receipt of the ticket delivery. We do not deliver tickets to hostels, guesthouses, or private residences. Please let us know if you are not staying at a hotel so we can provide our office details for you to pickup the tickets. We offer same day ticket delivery to central Tokyo hotels if the booking is placed before 17:00 JST. The same day delivery service is only available to hotels with a concierge. The tickets will be delivered to your hotel within 3 hours of us accepting your order; please note that this does not mean the tickets are delivered within 3 hours of you placing your order. If you are interested in the same day delivery service, please also book the "Same Day Delivery Service to Tokyo Hotels" option with your tickets. If you are not staying at a hotel, book within 3 days of the ticket date, or prefer to pickup your tickets, you can collect your tickets from our Tokyo office in Shibuya. Our office is located 6 minutes (on foot) from Shibuya station.